Welcome to the C N D Cymru website! C N D is the Campaign for Nuclear Disarmament. 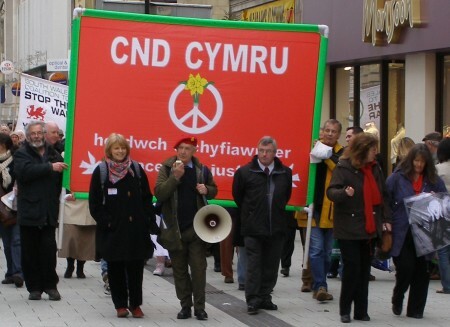 other movements in Wales and worldwide to rid Britain and the world of all weapons of mass destruction, for peace and for human and social and environmental justice. 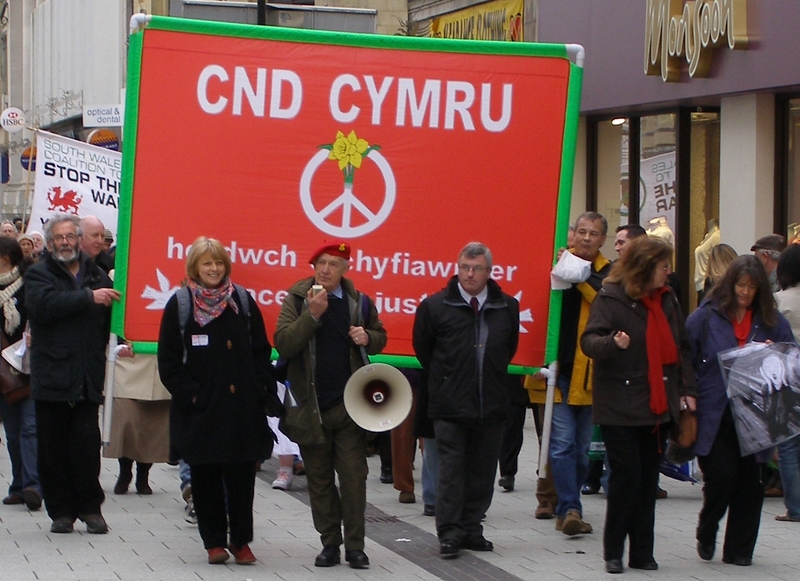 “Heddwch” (Welsh for Peace) is C N D Cymru’s membership magazine. It is sent to all members three times a year, and it is available online through the link above. Everyone in C N D Cymru is a volunteer, and we are entirely funded by our supporters. Like any other voluntary group, we depend on our members’ voluntary work to be able to campaign. We need more volunteers in order to do more – if you would like to help, contact us!